Cameron Stewart, Babs Tarr and Brenden Fletcher were fundamental to the meteoric rise of Batgirl's popularity at DC comics with the "Batgirl of Burnside" shakeup a few years ago. They might have moved on from Barbara Gordon, but their first creator-owned comic together sounds just as fun. Announced yesterday by Image Comics, Motor Crush, launching later this year, is a bit far removed from the superheroic world Barbara hung out in — but no less weird and wonderful. 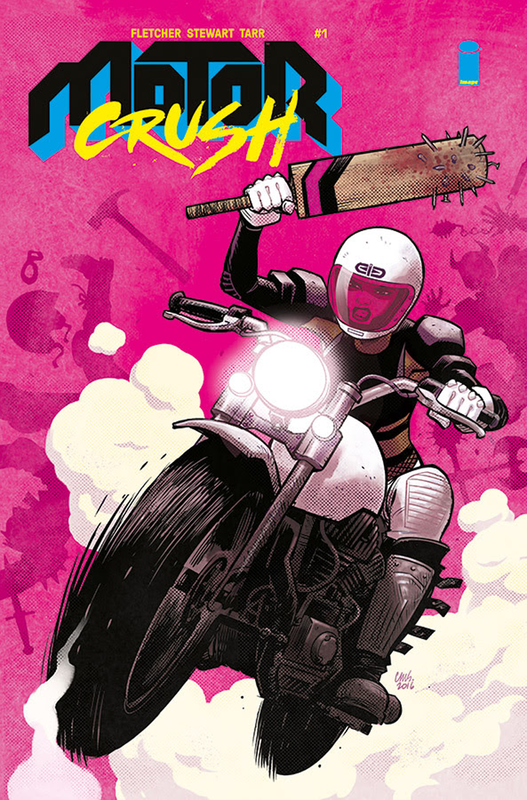 Motor Crush follows the excellently-named Domino Swift, a motorcycle racer by day and bike warrior by night, as she battles for a strange resource: Crush, described as a "narcotic for machines". If that doesn't sound interesting enough, Crush apparently has far more sinister origins than anyone realises, putting Domino in great danger. Bike wars? 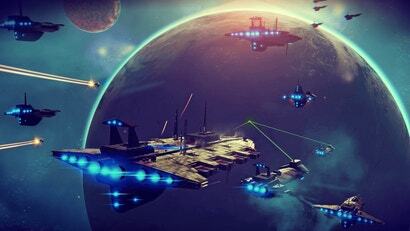 Machine narcotics? Names like Domino Swift? Even if this wasn't from one of our favourite comics creative teams, sign us all the way up. 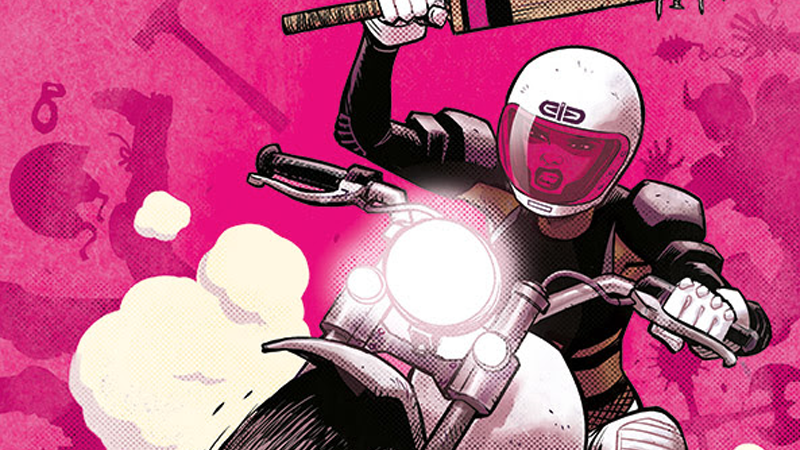 Motor Crush #1 hit shelves on December 7.